How to manage ads in slider? The slider is considered one of the main parts in a classifieds site homepage, it attracts most of the users’ attention. Which is why we had a couple of options for you to choose from, each option shows different kind of ads at your homepage. At the Advertisements in home section choose one of the four available options. Latest ads: It shows the last ads published at your website. 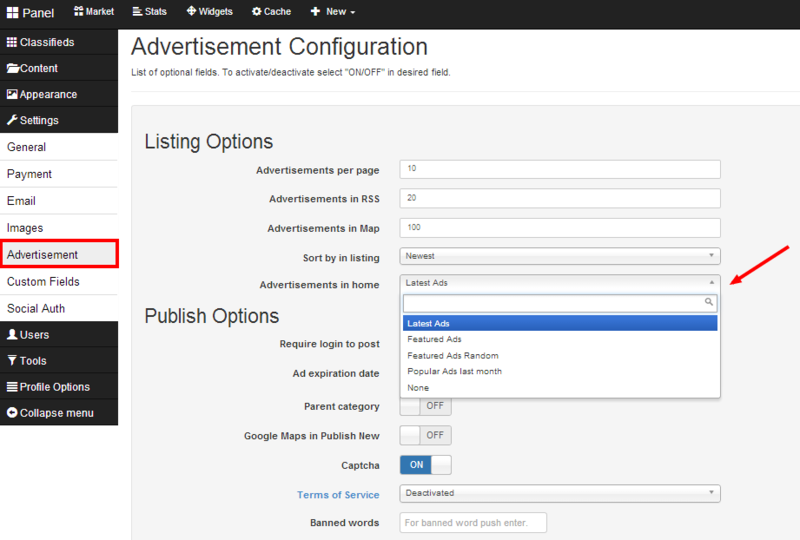 Featured ads: Displays ads that you chose to be featured. Featured Ads Random: Displays ads which are featured in random order. Popular Ads last month: Displays ads with most clicks/views during the past month.